Paris Saint-Germain will hold further talks today with Zenit Saint Petersburg in order to sign Chelsea midfield target Leandro Paredes. The Argentine midfielder has been linked with a move away from Zenit this month, with Chelsea and PSG interested in snapping him up in the winter window. 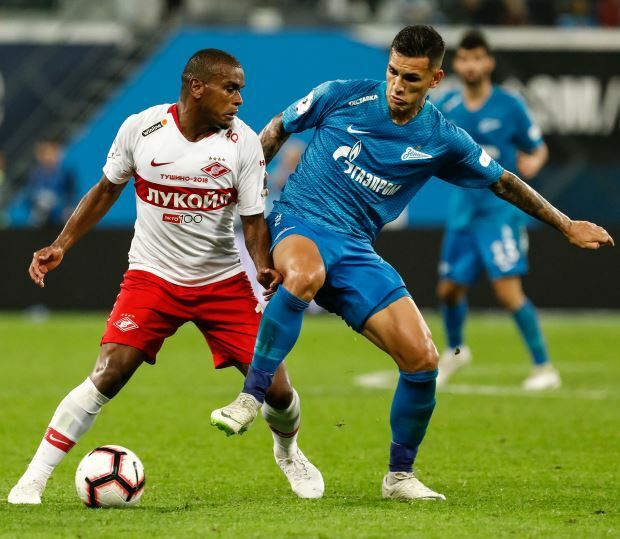 Chelsea have held talks with Zenit over signing Paredes and even thrashed out an agreement over personal terms with the player, but for the moment PSG have the lead in the chase. The French champions have been in negotiations with the Russian giants and they were reportedly close to reaching an agreement with Zenit for the midfielder. But it seems a deal has not been reached yet and according to French sports daily L’Equipe, the two clubs will meet again today for further talks for Paredes’ possible departure. Zenit have lowered their financial demand for the midfielder, which was believed to be around the €55m mark. However, the two clubs have been in talks over a deal that could be agreed for a fee in the region of €40m and another €5m in add-ons. It remains to be seen whether Chelsea will look to return to the transfer mix for Paredes as PSG continue to work towards his capture.